In doing some further research on the beliefs and worldview of Gene Roddenbery, I ran across this quote from his wonderful interview in the book God & by Terrence Sweeney. I thought it was interesting in light of my previous post, wherein I discussed Shatner’s questions about the afterlife. “For all Star Trek’s anti-religious foundations,” I wrote, “its unwavering optimism about the destiny of humanity ultimately demands that the human journey resolve in understanding and fulfillment.” While this is true of Roddenberry’s vision of the overall journey of the human race, according to the above quote, it seems as though it would not express his beliefs about the end of the life of an individual. He appears here to espouse no belief in any kind of afterlife. Roddenberry admits as much to Sweeney when he says, “So I can see us moving toward that infinite oneness which is full of wisdom and peace and so on. And I find myself drawing back and saying, ‘Better we should have the loveliness of disagreeing.’” It’s hard to discern whether Roddenberry intends these statements about an “adult stage” to refer to the same state as the aforementioned afterlife of oneness with “the All” or a separate condition that is the result of a completed evolution of the human race, but this back and forth between ultimate revelation and continuing struggle peppers much of Roddenberry’s language. The Gospel concept, however, of ultimate redemption and consummation and the foundation of a new Heaven and a new Earth offers, I believe, a resolution to this problem. While knowing fully even as we are fully known, it seems, human beings will find contentment in Creation as it was intended. Will we be relieved of our need for challenge and discovery? Perhaps. I prefer to deduce, however, that our curiosity will be continually finding new questions to ask and we will continually find new answers and new adventures. Imagine how many lifetimes one person could spend exploring the Earth in its present, fallen state. In a perfected state, its richness and openness will be ever more full and provide endless opportunities for discovery. 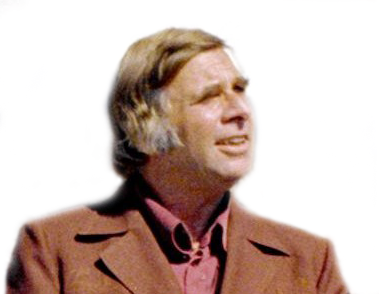 Roddenberry’s vision of hopeful humanism does, it seems, demand a final resolution of peace, wisdom and knowledge and he seemed most often prone to promote that idea. His dilemma regarding the afterlife, though, reflects a universal human paradox of a love for this life and a desire for something more, combined with a wish to have neither completely cancel the other out. This longing is addressed, I believe, by the picture of ultimate reality we find in the Scriptures. Would Roddenberry have found satisfaction in this concept? I would hope so. Unfortunately, his exposure to the limited, popular notion of a disembodied afterlife in Heaven too often preached as Christian doctrine and his haste to reject Christianity wholesale seem to have gotten in the way of his discovering the fullness of that reality. Great article,Kev! Great theology, too!!! Thank you very much, sir! Coming from my theological mentor, that means a great deal. I don’t know if you remember it, but you actually brought up this issue of contentment in the new Earth at lunch once when I said, “in a perfect world, nothing interesting ever happens.” I think it was at the Paideia conference and I never got to give you a good reply. So, I had you in mind as I wrote this! Naugle’s right, Kevin! This is a great piece with good theology. Thus Roddenberry’s tension between perfect happiness and adventure. Thus Nietzsche’s hatred for heaven as he had heard of it. Thus, I like to think, Huck Finn’s motive for telling Widow Douglass he’d rather go to hell. But the truth is that the Garden of Eden was not dull in the beginning. And without the Fall, life would still have been interesting. Somewhere between near-certain and absolutely certain lie the odds that heaven will be a great adventure, as Lewis portrays it in The Last Battle. Thank you, sir. I appreciate the kind words. The episode you’re referring to is “This Side of Paradise,” your mention of which has just inspired a new blog post! Writing now, publishing shortly.